Pending the publication of a European standard a TecRec will serve as a common comprehensive standard, approved by UIC and UNIFE and therefore recognised as a voluntary sector standard aimed at speeding up the standardisation process and thereby improving the competitiveness of the European railway system. Topics for TecRecs are selected according to well defined criteria under the supervision of the joint UIC/UNIFE TecRec management co-ordination group (TMT). The partners will agree on a topic and will seek to develop those that are founded on a solid business case. The TecRec drafting is either done in projects with joint UIC and UNIFE member participation or in dedicated TecRec working groups. The drafting process is then followed by a technical consultation at expert level and a formal approval stage at management level by both partners. 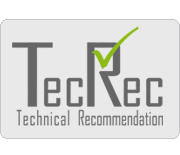 Once approval has been obtained, the TecRec will be published in the English language and placed on this website. Priorities and resolution of conflicts are provided by a joint high-level TecRec Steering Board.